Quite unlike her current over-the-top fashion sense and lyrics replete with sexual innuendos, Katy Perry had a very strict and conservative upbringing. Both her parents, Maurice Keith Hudson and Mary Christine Perry, were pastors and she was not allowed to listen to pop music or rock music. Even television music channels such as MTV and VH1 were closed to her. She could listen to gospel music, but she received exposure to pop music through CDs borrowed from friends. Her parents were also very poor, and often the family used food stamps or ate from the food bank of the church. At the young age of 9, Perry started taking singing lessons after her parents discovered her vocal skills. They also included her in their ministry and she used to sing in church. When she turned 13, she was gifted her first guitar. This was when she publicly performed songs that she wrote. At this age, she also began to rebel against her parents’ restrictions, and consequently pierced her nose. She travelled to Nashville several times to record a gospel album titled Katy Hudson, which was released in 2001. However, the label went bankrupt and the album never took off. After completing her General Educational Development, Perry left school to make a career in music. She moved to Los Angeles to work with Glen Ballard, a songwriter and producer, who had previously worked with Alanis Morissette and Christina Aguilera. The young Perry, only 17 at the time, found it incredibly tough to live on her own and often found herself struggling to pay the bills. Perry faced several disappointments before she found her first big break. In 2004, a deal she had signed with a record label called The Matrix fell through just before the record was to be released. Only after three record deals fell through did Perry finally sign up with Capitol in 2007. Her first track, Ur So Gay, received moderate success despite Madonna proclaiming it to be her favorite song of the moment. Perry’s career really looked up after she released her second single track, I Kissed a Girl, which topped of the charts in 2008. Her debut album, One of the Boys, entered the Top 10 on BillBoard’s Hot 100 chart. Apart from her music, Perry is known for her theatrical performances and her quirky stage prop choices. During the Warped Tour, she danced on stage with a huge tube of lip balm, singing “I Kissed a Girl.” In addition, she has appeared in several eccentric and wild outfits, also jumping into a life-size cake. Perry continued to enjoy unstinted success. In 2009, she appeared in her own television show on MTV. 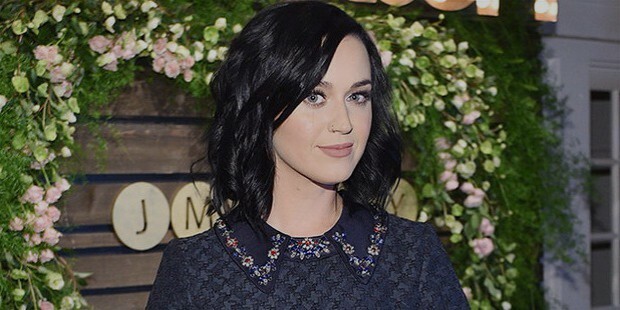 During the same time, the soundtrack from Katy Perry: MTV Unplugged was released. In 2010, she released another album Teenage Dreams. California Gurls, one of the tracks from this album, rose to the top spot on the Billboard charts. Perry endorses brands like CoverGirl and Pop Chips and has a signature perfume brand called Killer Queen, manufactured by Coty. She also performs at private events. Perry’s universal success despite hailing from a conservative family with no means to listen to pop music is a great motivation to all those artists out there who are currently working towards realizing their dreams.